I went to the Nuffnang food blogger’s meetup on Saturday!! It was so exciting that I finally get to meet other food bloggers. Never have I had such a thoroughly enjoyable time listening to and taking in the atmosphere of food conversations all around me, punctuated by the sound of clinking cutlery and the roll of the lazy susan, the humid steam rising off steel trolleys permeating the air. It was so interesting to see two full tables of people taking endless photos of the food as it arrived. I think the lazy susan went round a couple of times before the food was even touched. It was so cool!! Everyone had their turn to get their shot, and no one got impatient. I’m still bowled over by the understanding. 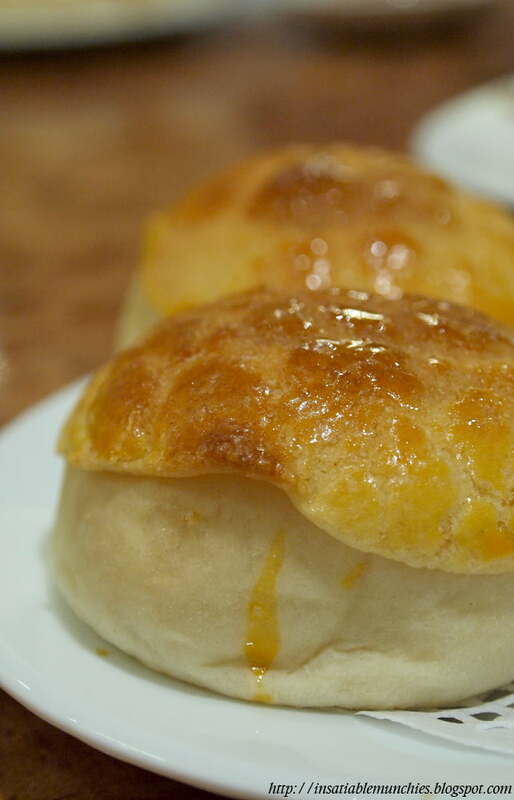 First came the dessert tray (remember, dessert spelled backwards is “stressed”), and we got some custard buns off it. The custard was sweet, but not egg-y, and I really liked the crumbly topping that they put on the buns. 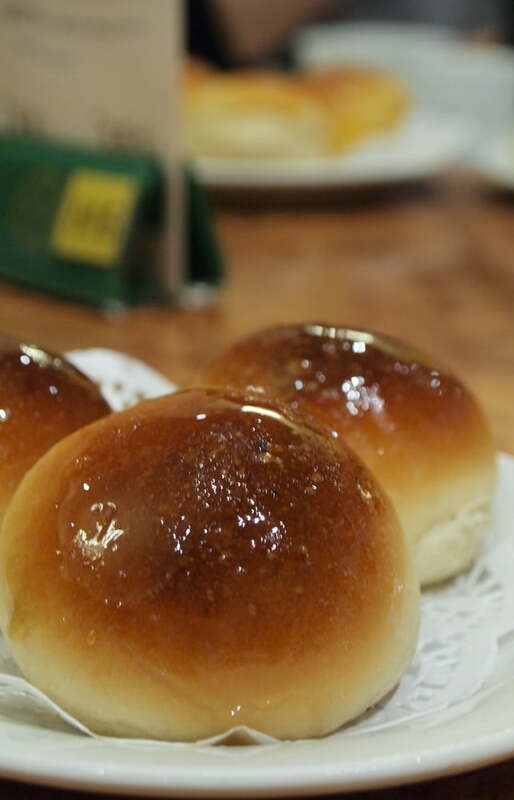 It reminds me of this coffee bun that you can get in Singapore and Malaysia, that has a similar crumbly, buttery topping that absolutely melts in your mouth. 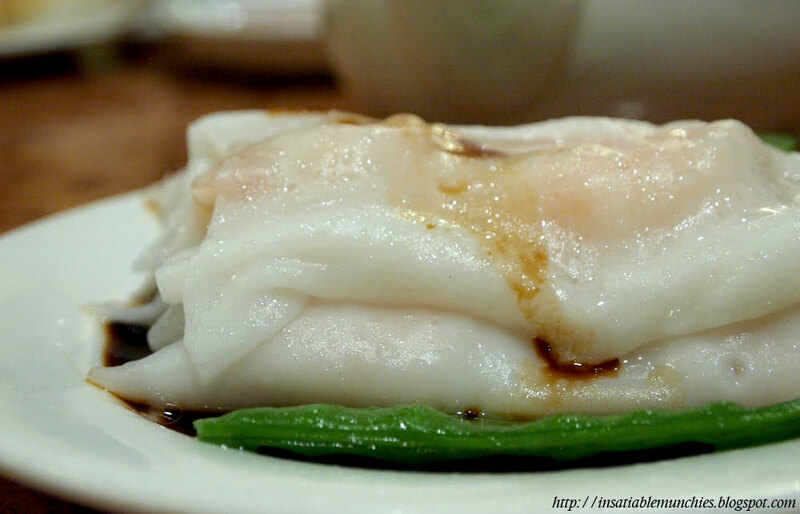 And speaking of melt in your mouth, the Cheong Fun is my must-order at any Yum Cha restaurant. 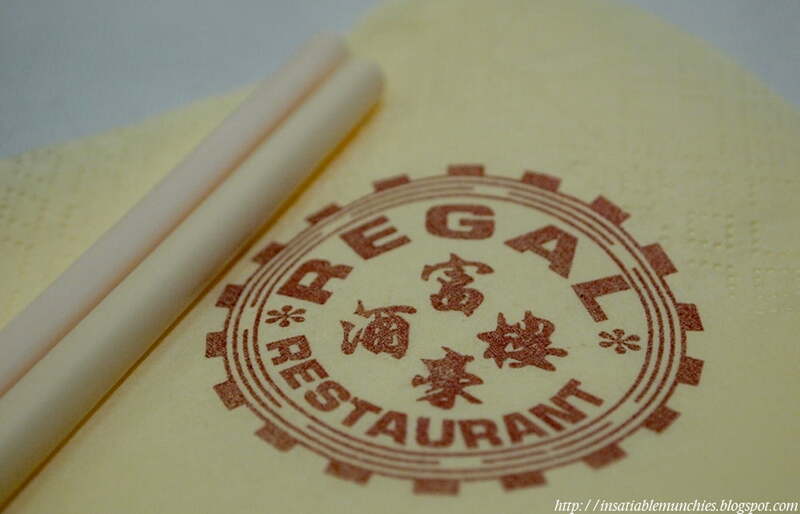 As loathe as I am to admit it, the glutton in me sometimes lies awake at night dreaming of those smooth, silky sheets of steamed rice noodles encasing plump sweet prawns, all basking in a pool of dark sweet-salty sauce. MUST. HAVE. MORE. I didn’t have the Char Siew Buns, but they looked so pretty with their sweet glaze that I had to snap a photo of them. And then the steam baskets arrive. 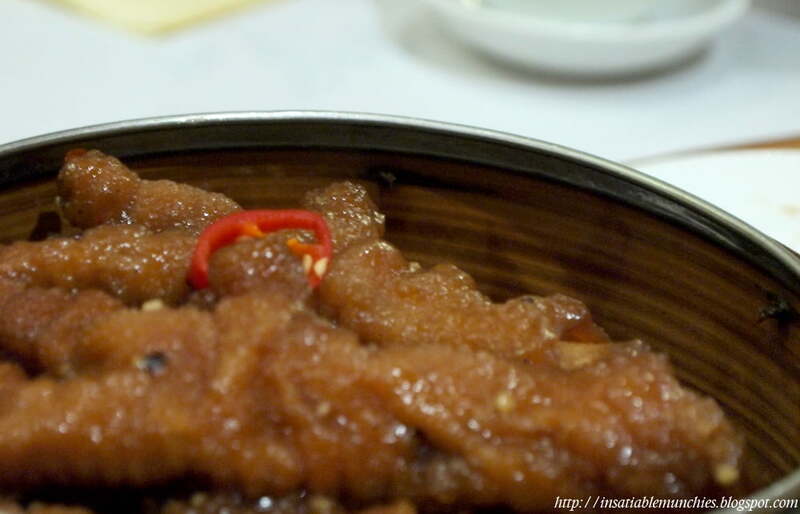 I love LOVE chicken feet. (Ok, that sounded a bit odd, but in my defense, in Mandarin it’s 凤爪, which means “Phoenix’s claw”.) The wrinkly skin slide off and taste of the rich, spiced broth that it’s been cooked in. Heavenly. 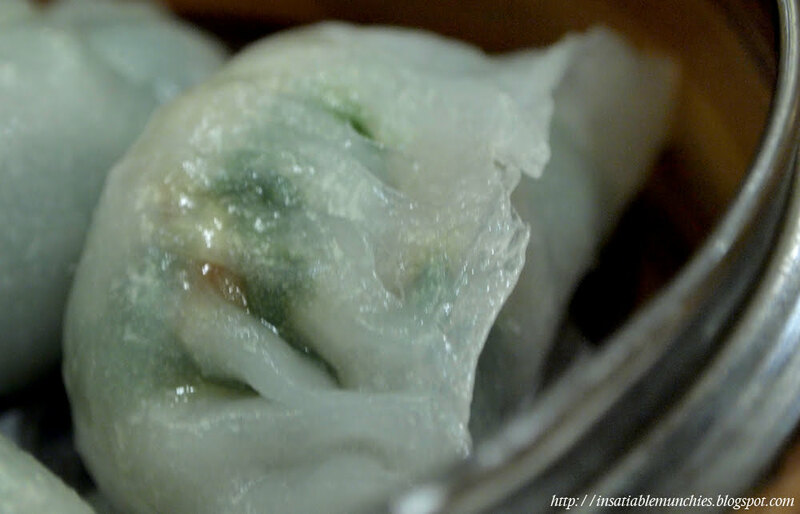 What I truly love about a good Har Gow (prawn dumpling, if literally translated) is the skin. The translucent encasement lovingly clings for a brief moment as you bite into it, before tearing off into a succulent mouthful with a good amount of bite. The filling has to be good too, of course, but to me, the art is in the skin. It can’t be mushy, but it can’t be too resistant to a hungry mouth either. The mango pancake was creamy, with a good amount of juicy mango. 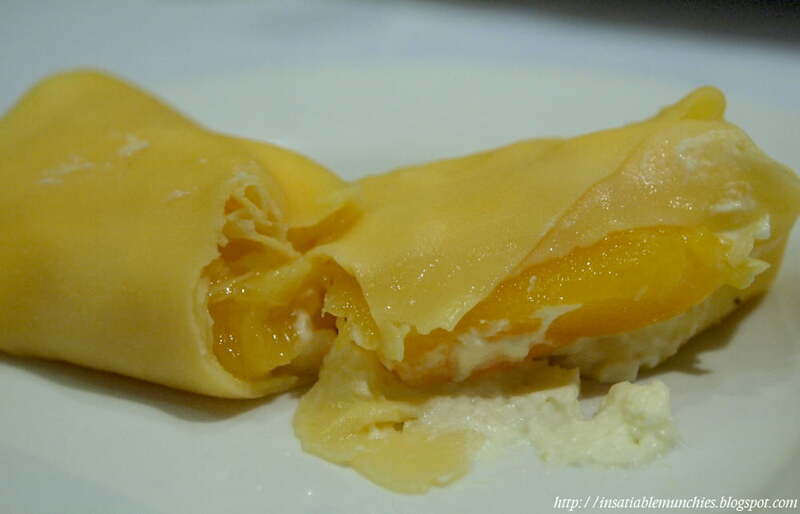 I’m sorry I can’t say too much about them though, I haven’t yet had a mango pancake that completely blows my mind. 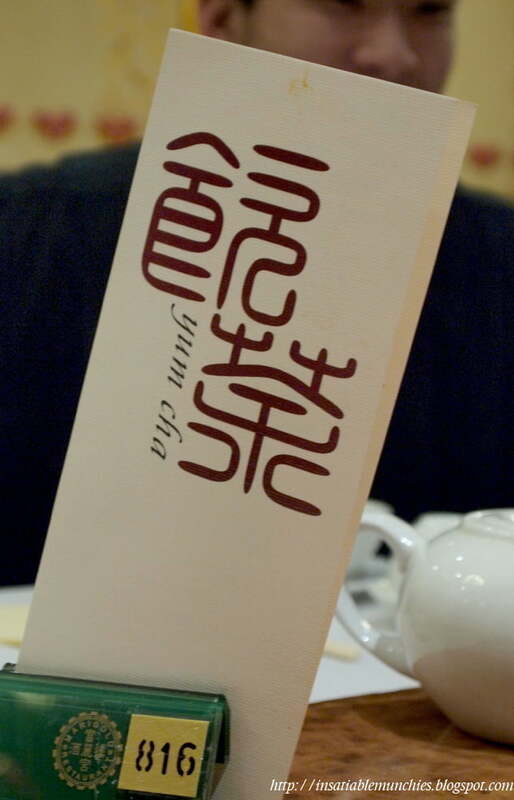 Now the 豆花 (Douhua) is truly lovely. 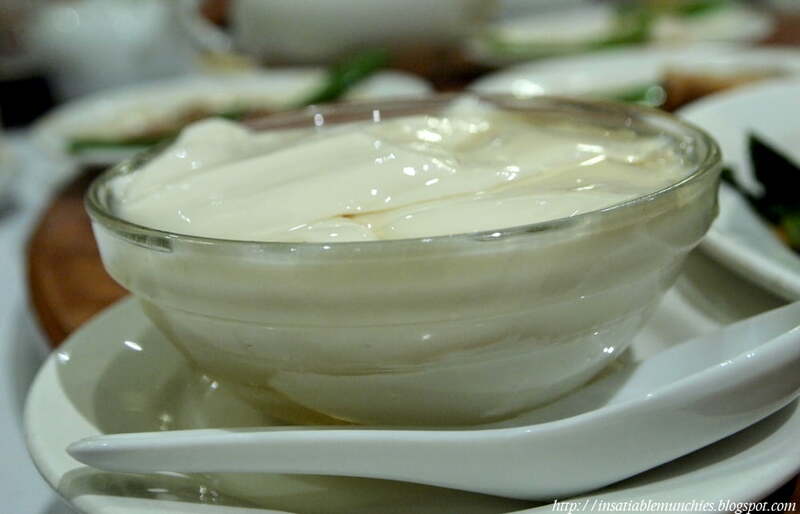 Warm silky layers of toufu drizzled with a ginger laced sugar syrup. It looks so deceptively simple too! In all it was a really nice time meeting people of like mind. It’s lovely to see other foodies like Cate, Suze, Simon and many others! Thanks to Nuffnang for organizing the meetup! !